WILLEMSTAD - The Central Bureau of Statistics (CBS) held, in the months of September and October 2016, its Labor Force Survey (LFS) in Curaçao. The LFS is a sample survey of households which the CBS performs periodically with the aim to assess the latest developments in the labor market. These developments are in the unemployment rate, employment rate, the size of the working population and the size of the job seeker population. The measurements are the result of the developments that have taken place in the period between two measurement points, namely September-October 2015 and September-October 2016. The unemployment rate in September-October 2016 was 13.3 percent. Compared to 2015 (11.7%) this is an increase of 1.6 percentage points. The job seeker population increased by 1,755 persons and has reached a level of 9953 persons in 2016. This is 21.4 percent more than in 2015 (8,198 people). The number of employed persons increased by about 3,300 people; this is an increase of 5.3 percent compared to 2015. The increase in the working population was seen in both sexes. The total working population in September and October 2016 employs approximately 65,100 people, of which about 2,000 people were unemployed one year ago (in September and October 2015) and about 1,050 received training. Figures of the LFS give an indication that the increase of the working population becomes higher with an increase in age. For example, the increase in the working population in the 55-64 age group was higher (8.7%) than the increase in the working population in the age group of 35-44 years (1.6%). Of the working population, the majority worked as permanent workers (58.9%). A similar situation was seen in 2015, although the rate in September and October 2016 is lower compared to September-October 2015. The largest increase in employment was in the flexible economic positions, such as temporary workers / 'freelancers'. This was also the case in 2015. The youth unemployment rate in September-October 2016 was 36.8 percent (2,593 people). In 2015 this was 29.7 percent (1,641 people). The number of young people seeking work has risen. 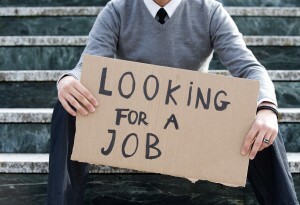 However, in analyzing youth unemployment, it is useful to consider certain matters. For example, 31.6% of young people seeking work were full-time students in September and October 2016 and could perhaps therefore not be fully available to accept a job and actually start working. Curaçao's population aged 15 and older between October 2015 and October 2016 increased by about 1,650 people. The labor force increased by 7.2 percent to a level of 75,070 people. The labor force includes the employed and the unemployed together, also known as the economically active population. The employment rate of the population aged 15 years and older is 59.0 percent. The employment rate is the ratio of the working population to the population aged 15 years and older and is a measure of participation in economic life. For the age group of 15-64 years in particular, this was 70.4 percent.